Files related to the 2014 shooting in Brussels’ Jewish Museum, which killed four people, were stolen out of a lawyer’s office sometime last night. In their place, the thieves left a replica of an AK-47 and a baseball bat. 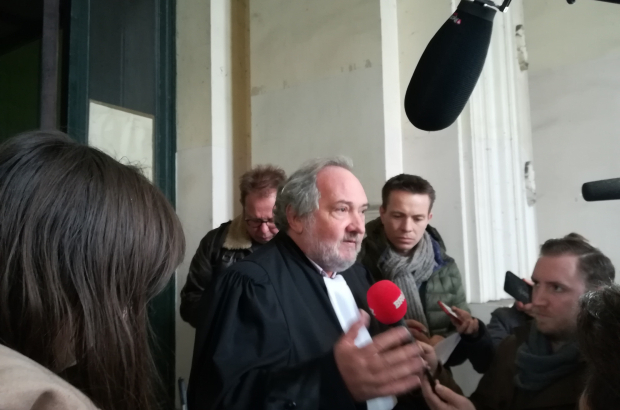 Vincent Lurquin is one of the civil prosecutors on the case, which is being tried now in a Brussels court. His office in Berchem-Sainte-Agathe was broken into last night, and the perpetrators left behind the not-so-subtle threats. Police are investigating the robbery, which should have no effect on the trial of the two suspects, French nationals Mehdi Nemmouche and Nacer Bendrer. Nemmouche, 33, is on trial for the murder of four people in the Jewish Museum, which he allegedly entered on 24 May 2014 and opened fire. Bendrer is on trial as an accomplice, suspected of providing Nemmouche with weapons. Both men have plead not guilty.